Matching games, Memory, Concentration - whatever you call it - can add some fun and are a good alternative to solid drill and kill. 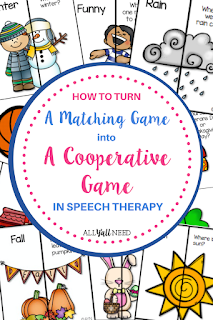 There can be some problems in mixed groups - the artic students get the cards without their sounds, the language students can't remember where the matches are in a large visual field, and there is always one student who snatches up all the matches in half the therapy time. I'm left without good data, extra time in therapy, and unhappy students who didn't get enough turns. I need more control in these games. 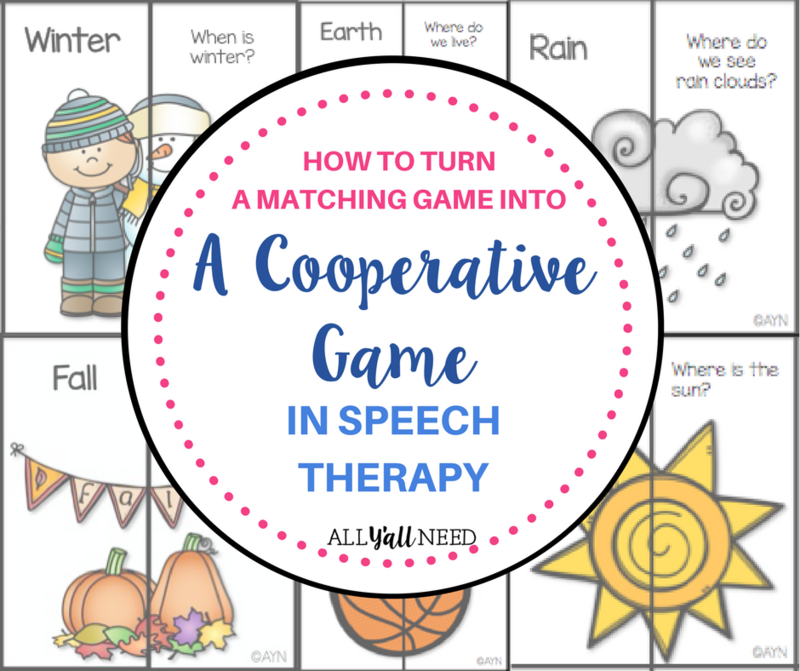 Much like board games and balance games, I've turned matching games into cooperative games. I'm not against competition. I am all for using therapy time efficiently, and the usual Memory rules mess that up. I always have one student who gets a match and then runs through the rest of the matches. Artic students don't want to say words if a another student gets their match. Some students immediately give up because there are too many cards to remember. My first solution is to halve the cards. It's pretty easy to do so with cards from Super Duper Inc. because they are numbered and lettered, as in 1A, 1B. 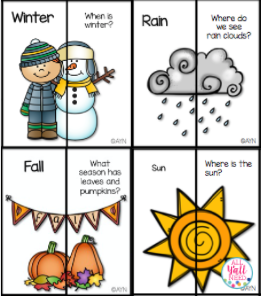 These cards are also easy to separate because there is a word on one side and a question on the other. After the cards are separated, I can control which one students are looking for. I distribute one pile to the group. This works well in mixed groups. I can give the /s/ cards to the artic student. 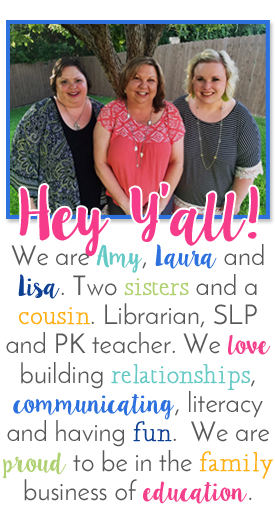 I can choose the vocabulary words the student needs to work on. Students are matching cards containing their IEP objectives. I get data. By passing out half of the piles, the visual field is automatically reduced. Students who are easily frustrated by a tableful of blank white cards can breathe easier. There aren't as many cards to remember. The next adjustment I make is that students only get one turn at a time. Even if a student gets a match, we move on. That way, the one student with the perfect visual memory isn't sweeping up all the cards. Once a student finds all of the matches, a small reward is offered - a smelly smiley, a sticker, or high five. By taking one turn at a time, the group usually finishes the game around the same time. If the group is having trouble waiting for turns, I make the whole group wait until everyone finds their matches before giving a reward. Don't be afraid to run very small matching games. In self-contained rooms, I've given students 1-2 cards to match. 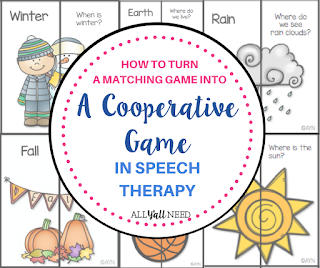 For students who have a primary eligibility other than speech, a big matching game can be too much. By giving them a visual and only putting 2-4 upside down cards on the table, they can work on turn-taking while also having fun "finding" their matches. If you like these tips, be sure to pin this post for future reference.